Winter shoes my feltboots are absolutely elegant, natural and breathable. 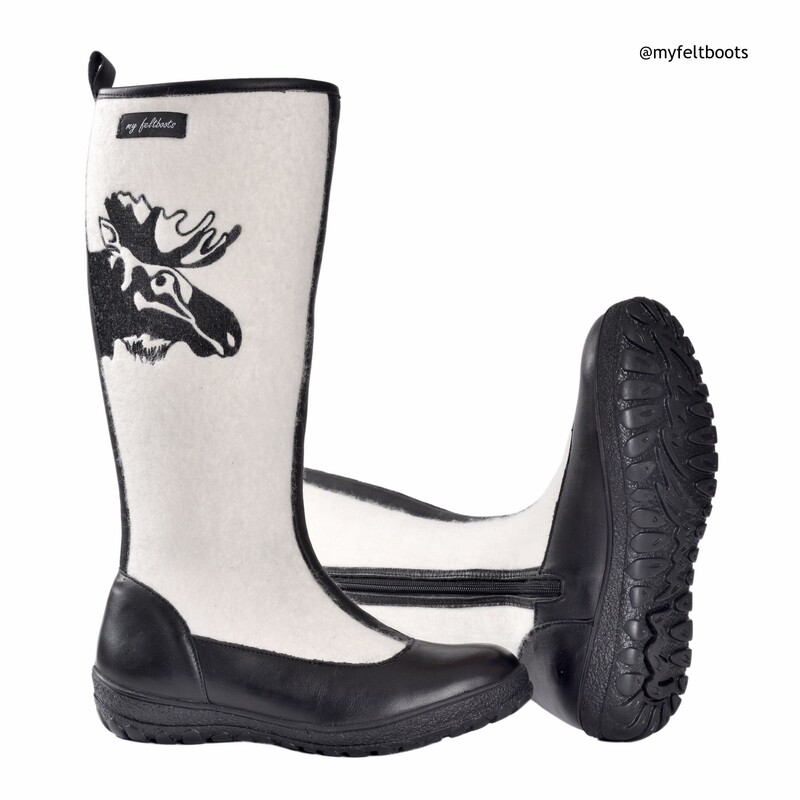 These warm snow shoes are practical to wear in fall and winter seasons. DESIGN. 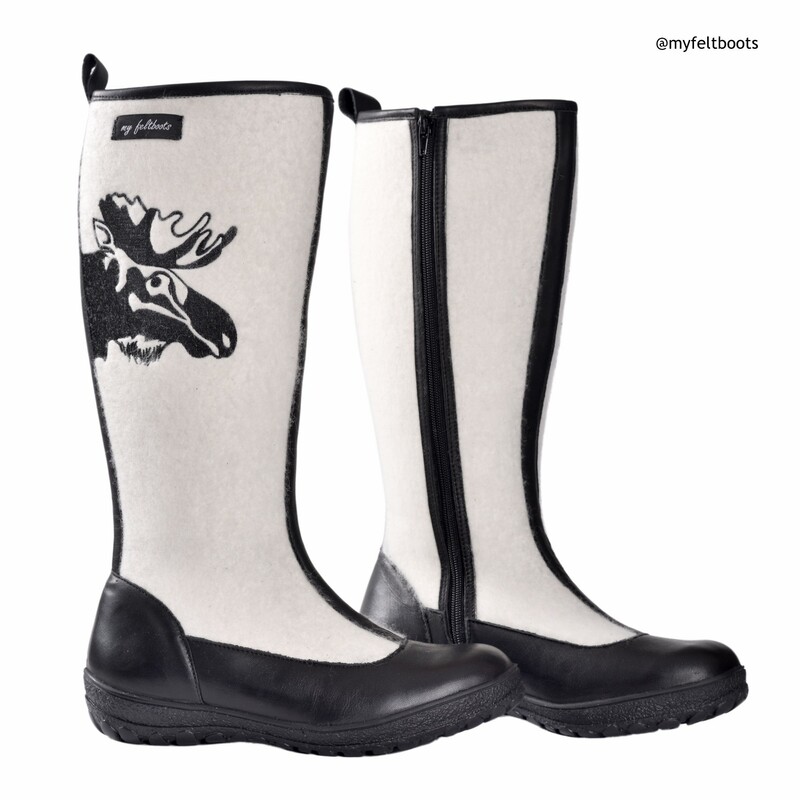 Comfortable and warm felt boots are designed for every stylish woman. 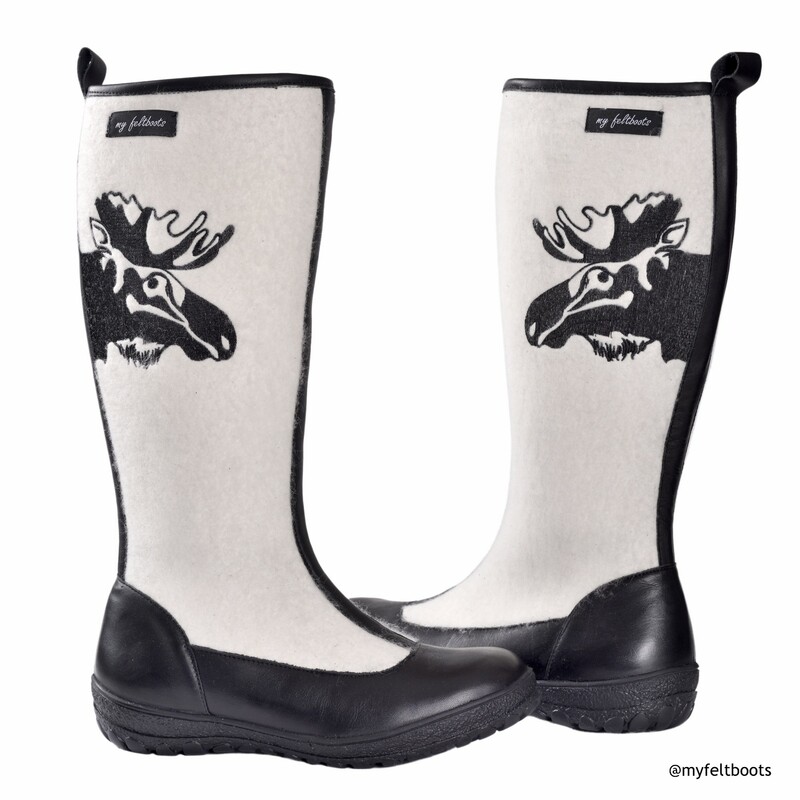 Design accent – boots are embroidered with forest king Moose silhouette. The part of feet and heel is being coated with natural leather which is a practical element and keeps salt and mud away. RECOMMENDATION. These warm boots has to be a half size bigger to circulate the air and heat inside. Put felt insoles my feltboots inside the boots to reduce extra space if needed and to have more warmth inside as well. Comfortable walk then is guaranteed. NOTE. Shoes can have another shade of wool impurities. It is not considered a defect, but a natural feature of wool. The colour of footwear may slightly differ from those in the photos. Felt shoes are being devoted to wear them in a dry and cold weather. 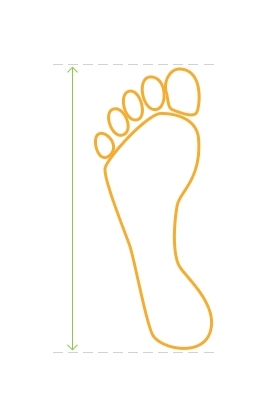 Wool and leather are natural materials therefore the moisture permeability of the footwear is not considered as a defect.